Let's present a hypothetical: You arrive at a place the realtor described as simple and "cozy," yet all you see are drab, white walls that make you wonder if you've been committed. Fortunately, there are many ways to transform a rental living space without using paint, wallpaper, puncturing walls, or any other tactic that may forfeit a security deposit. Here we've rounded up some creative non-damaging DIY wall art to make your rental apartment feel more like home. For livening up the walls in a rental space, washi tape will quickly become your best friend. There are some amazingly creative projects and tutorials out there you can use as inspiration, like this one from MollasWorks. And if you're not feeling particularly artsy, the internet is full of cool temporary wall decals to break up the space. Get ready for your life to change with this incredibly simple and cheap DIY apartment décor idea. Yes, I'm being serious. It was my go-to wall décor in college once I (thankfully) grew out of tacking posters on my walls with scotch tape. Using two clear Command hooks per necklace, you have completely original wall art and a way to keep your necklaces from tangling. Genius. A DIY folding screen like this one is a great way to create some privacy in a shared room, or add some flair to a blank wall. Best of all, you can craft one using all sorts of paint colors, fabrics, and finishes, customizing it to suit your apartment's style. Provided you have access to an office supply store that can print large sections of a high resolution image, this project brings a wall, a room and a special photo to life! Choose an image from a meaningful vacation, like in this tutorial, and you'll be transported back to that relaxing memory each time you walk through the room. There are a lot of washi tape projects in this post — but for good reason; rolls of washi tape are relatively cheap, and they are removable without a trace. This DIY New York City subway map shows just how versatile washi tape designs can be. Crafters can do this with any city's transit system - the reduced detail of the routes create distinctive and striking patterns. 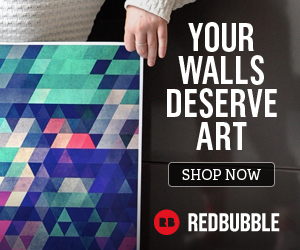 Let photos of your friends, family, and memorable moments decorate your apartment's walls. Using Command hooks or non-residue tape, you can attach any type of string or cord to your wall; then simply use wooden clothespins to secure your photos. You can even reprint some of your favorite digital photos as vintage-looking polaroids. Bedframes and headboards are expensive. If you're budget-conscious and have a creative eye, using washi tape to create a mock headboard like this crafter did, can add color and dimension to the blank wall behind your bed. Contact paper is inexpensive and easy to cut into shapes to add a fun all-over pattern to a wall, like in this polka-dot nursery.